Kodak’s new Zx5 has some new upgrades and downgrades. Nearly thirty years in the photography business has taught me at least one thing; Count on Kodak to take a good thing, overprice it, overhype it, and finally tweak it into obscurity. 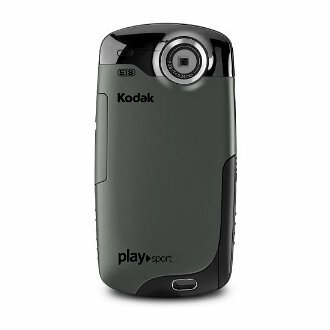 Rather than a long treatise on Kodak, the US corporation, let’s just take one simple product the Kodak “PlaySport” consumer grade waterproof camera. I have sold a few to friends and fly fishers through articles on Texas Fly Caster, and phone conversations. It’s a straight forward camera that fits easily in a fishing shirt pocket, vest or pack. And that’s where mine stays, my Simms waist pack, virtually all the time. I actually like mine so much that I was looking to upgrade to the newest PlaySport Zx5 a few weeks ago. Of course, there’s upgrades galore to the new PlaySport. They have moved the on/off button to the top (fantastic idea! ), and have a “Share” button (which means a wifi connection?). The upgrades to the new camera are significant, when compared to the previous Zx3 interim upgrade to the PlaySport. Default recording in .MP4 is a huge plus, as is something even more critical to fly fishing photography – macro focusing down to ~ 4 inches. Now, I am sure you would have to fiddle around with mode settings and go into “macro” mode to focus that close, but we are talking some fantastic fly tying video details – if that’s your cup of tea. Guess what? They have also reduced the sensor size from 1/2.5 to 1/3.2, meaning overall quality, and the ability to record in low light is further reduced. And the real downgrade comes in the battery department. We wander far and wide as fly fishers, not just out in the back yard to shoot video of kids in our swimming pools, so batteries and battery life is a much higher priority than the average user considers. Kodak, in their infinite wisdom, has decided to install a permanent battery – invisible and non-removable. What does this mean for users? We already know batteries have an effective life of perhaps two years under best case conditions. We depend on backup batteries when we take these cameras fly fishing, so if one goes down, we have a backup charged and ready to go. Now, once the camera dies, and believe me it will die, you’re done for the day. No more video or 5mp stills … just put it away because it is now dead weight. When the internal battery finally quits holding a charge, pack it up and send it off for repairs – to Kodak! Are you starting to get the picture – the big picture? Unfortunately, Kodak never gets the clue until it’s too late. Will they go back to a removable battery? Probably not. Will the downgrades continue? It’s Kodak. If you are interested exclusively in video, the gap widens between Kodak and better choices. 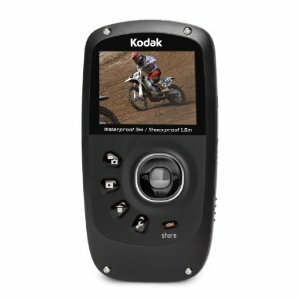 If you can live without a “Share” button and without macro focusing, run to Amazon real quick and look at the Zx3 Kodak PlaySport. If you can live without macro function, and share isn’t in your digital vocabulary, look at the Kodak Zx3.